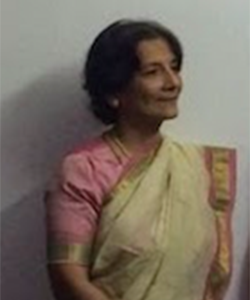 Dr. Radhika Joshi Ray is the co-founder of the Jaipur Gunijankhana. One of the senior disciples of Pt. Raghunadan Panshikar, Radhika has been studying the music of the Jaipur Atrauli Gharana for over 12 years and is gradually making a mark for herself as an upcoming vocalist of this tradition. 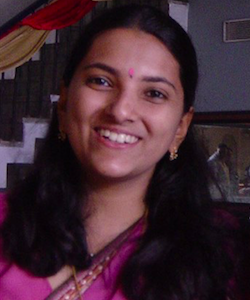 Radhika is extremely passionate about documenting the rich tradition in Indian classical music and has taken the ardous task of cataloguing the ragas and bandishes of the Jaipur Ataulighanara. She has recently been awarded the Archival and Museum fellowship by the India Foundation for the Arts and Saptak to support her in this endeavour. Pt. 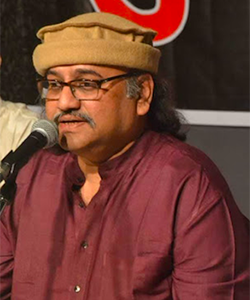 Raghunandan Panshikar is the senior disciple of Gaansaraswati Kishori Amonkar. He has played a key role in conceptualizing Jaipur Gunijankhana and continues to serve as a mentor for events and archival work conducted here.